Interesting stuff. 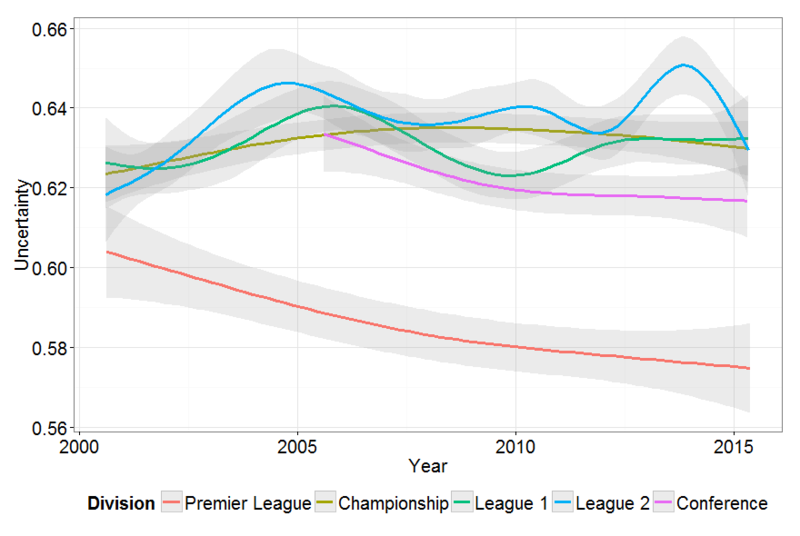 Surprised be the predictability of premier league versus the others. Perhaps down to more money and effort spent in understanding the teams and their behavior and that is reflected into the odds? Could be applied to other sports – F1 would be interesting. Yes, this could be applied to F1. Don’t know where to get the data from however. Super interesting, but how do you know that what you’re capturing isn’t just bookies setting more precise odds for the PL? I would imagine that’s where most of their profit comes from, so it makes sense for them to invest most in getting those odds correct. Yes, I see what you’re saying. The games are just as unpredictable, but the bookies know more. That is possible of course. Thanks for the comment.